Fantasy is the act of imagining the fantastical – worlds beyond this one, time far removed from now, and hidden parts of our own world that only a few will ever see, just under the surface of mundane reality. The ten anime I’ve brought together here represent various forms of fantasy, from traditional high fantasy with elves and dragons to modern urban fantasy and alternate realities. They all share a literal kind of magic – supernatural universes where things are possible that almost surely cannot happen here in our reality. These are programs for people who don’t just want to limit the stories they hear to plausible, realistic times and places. This is for those who can easily suspend their disbelief. 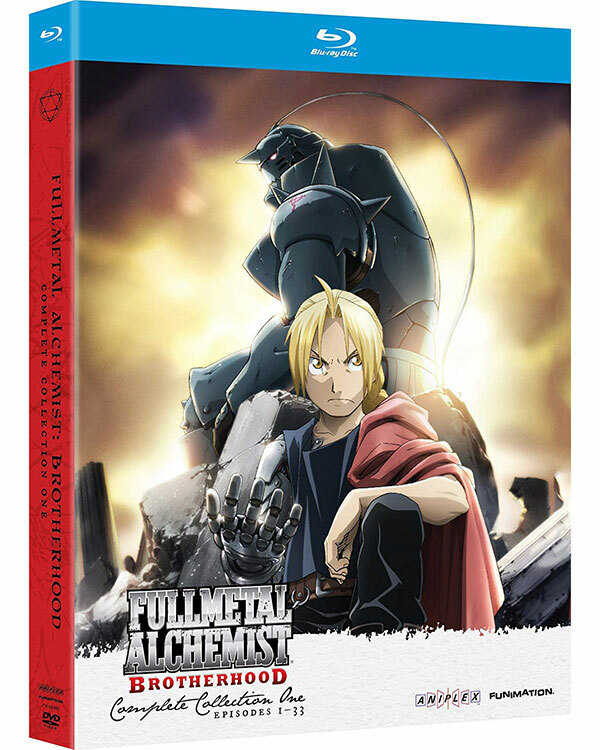 Fullmetal Alchemist: Brotherhood is a curious anime for one weird reason – it is not the first anime adaptation of the Fullmetal Alchemist manga. There was an earlier series simple titled Fullmetal Alchemist and that was an incredibly good show. It did, however, make significant changes to the storyline from the original manga. Fullmetal Alchemist: Brotherhood, on the other hand, is an almost exact adaptation to the manga. It is essentially a true animated version of what appeared on the page, which is also why it has a longer episode run than the original show did. Should you watch both? That’s a difficult question to answer. The original show really was brilliant in its own right, but obviously you’re going to see many of the same general plot points twice. So having seen both, I’d say if you’re only going to see one, then Fullmetal Alchemist: Brotherhood is the show to go for. It’s newer, longer, and every bit as good. The show is set in a world where alchemy exists. It’s not magic, but a force which is governed by consistent rules. The main and most important rule is that a sacrifice of equal value must be made if you want to create something using alchemy. One type of alchemy that is taboo is trying to resurrect a human being, since there is some component (presumably the soul or something similar) that no one knows how to factor into the equation. The two main characters, Edward and Alphonse, are the sons of a famous state alchemist. The father just disappears, leaving them alone with their mother. Both boys show an aptitude for alchemy, but their relatively happy lives are interrupted by the death of their mother from an illness. Going against one of the strongest taboos, the boys try to resurrect her using alchemy. This goes very wrong. Eric loses a leg, while Alphonse loses his entire body; saved only because his brother binds his soul to a nearby suit of armor, an act that also costs him his arm. The main motivation of the two following this event is to become great alchemists so that they may discover a way to restore Alphonse and perhaps Eric too. To aid this mission Eric becomes a state alchemist so that he can have access to their books. However, this means he has to go on missions for the government, helped by Alphonse. This is one not to be missed. This anime is on my own top 5 list so you know that I personally like it very much. 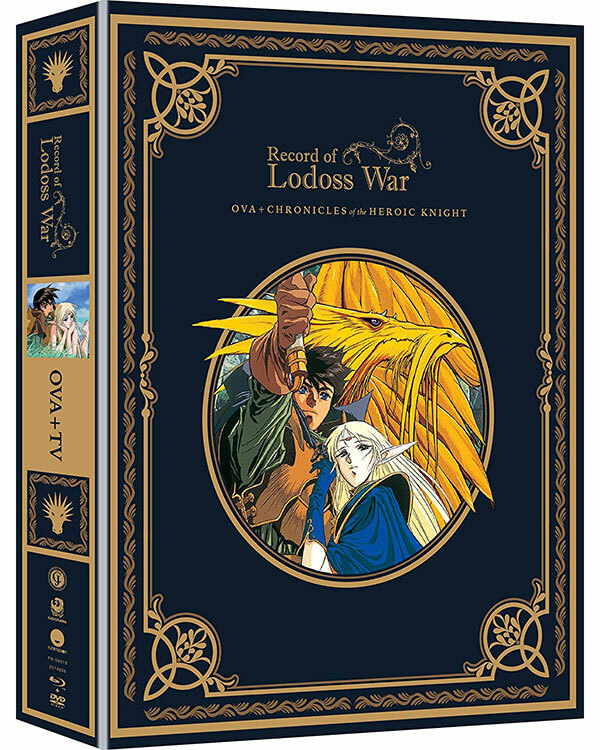 To the casual onlooker Record of Lodoss War might not seem like a very special fantasy anime. It’s pretty much classic high fantasy with warriors, Tolkien-style elves, dwarfs, and so on. What really makes Record of Lodoss War special is where it comes from – rather than being based on a manga or a novel, it’s an adaptation of an actual Dungeons and Dragons campaign. It was published as a “replay”, where others can follow what happened in a story that is part emergent and part planned by the dungeon master. This shows up in how the events of the story are sometimes surprising and in how well fleshed out the characters are. After all, each one was lovingly crafted by a player who assumed their role and took it pretty seriously. This Original Video Animation version is the anime adaptation I love the most, although there have been subsequent anime using the same characters and universe. Our hero is a fighter named Parn. His dear old dad was a knight who dishonored himself, but that’s not getting the lad down. He wants to know what really happened and perhaps restore their family honor. He forms a party with his priest pal Etoh. Soon the party grows with the addition of the mage Slayn, the dwarf Ghim, and possibly one of the most popular elves in all of anime, Deedlit. Together they quest, each for their own purposes. There’s an evil empire to fight against, secretive sorcerers to watch out for, and more. The epic quest serves more as a backdrop to some of the best characterization I’ve seen. It’s also gorgeously drawn and animated, even if it is from the 90s. But then I’m a little biased when it comes to the 80s and 90s. Attack on Titan is a cultural phenomenon. Even after only one season of the anime it’s taken the world of anime fandom by storm. A fresh concept, great visual style, and a story with just enough mystery to keep you hooked makes for a potent recipe. As I write this, the second season is over, with a third undoubtedly on the way. This dark, post-apocalyptic fantasy has legs though. The manga is selling gangbusters, there’s merchandise everywhere, and it even has a wacky spinoff. AoT is set in what seems to be an alternate world. At the point where we join the story, humanity has withdrawn into a massive walled city with three concentric layers. These walls exist to keep out gigantic, twisted humanoid creatures known as Titans. The citizenry and foot soldiers of the anti-Titan military know very little about these creatures, just that they want to eat and generally destroy humans. Titans are apparently mindless and if one gets its hands on you, well, it’s pretty gruesome. 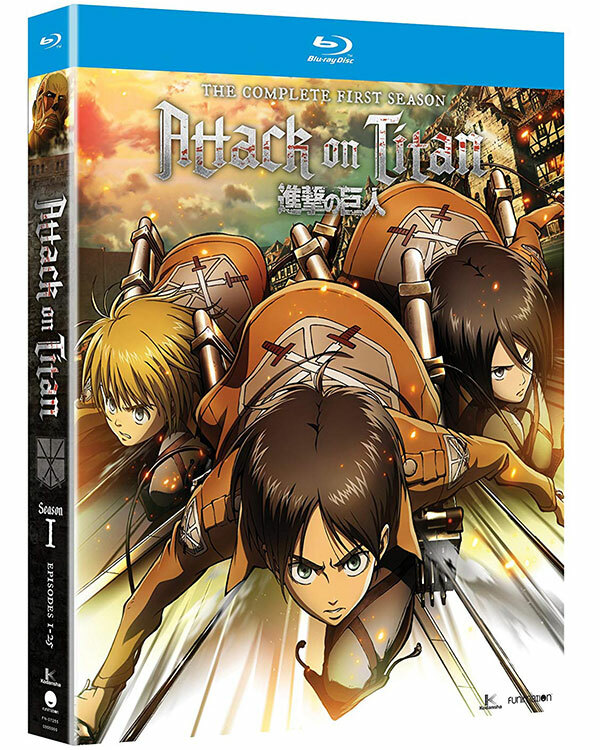 The main cast of the show consists of Eren Yeager, Mikasa Ackerman, and Armin Arltert. All three are young people who have been victims of Titan attacks and have joined the military to fight them. In fact, the show opens with a breach of the outermost wall, a crisis that drives this renewed battle after many years of stability. Attack on Titan is a unique, horrifying, and exciting dark fantasy that still has not resolved its core mysteries and is likely to keep fans hooked for years to come. Adding the 1997 adaptation of Berserk to this list is a rather bittersweet choice. 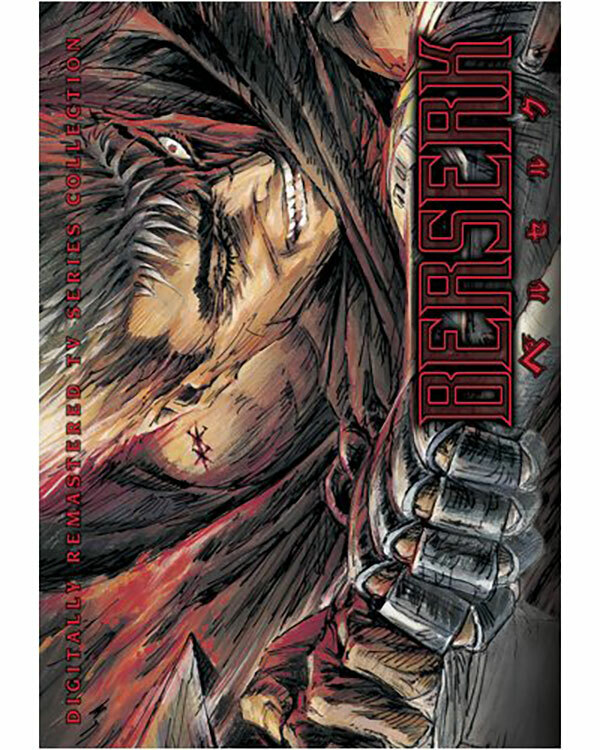 Berserk is one of the best manga I have ever read, but the original anime adaptation never finished. Instead it ends on a cliffhanger, and for years the manga was the only place to go for resolution. In 2016 a new adaptation of the manga was released and, while I think it’s perfectly OK, the show has been harshly criticized for it’s hokey pseudo-2D CG animation. Anyway, I digress – the 1997 series might not tie up its loose ends by the last episode, but it’s a great ride while it’s going. It follows the story of Guts, a legendary swordsman. He joins a band of mercenaries under a leader who has great ambitions and perhaps no moral compass around how he’ll achieve them. To this end, Guts isn’t so much a hero as he’s an anti-hero. He’s violent, murderous, and monstrous. Still, he has a major love interest and follows an internal moral code as all good antiheroes do. The story follows him as he joins the Band of the Hawk. However, their leader Griffith has sinister supernatural plans for his beloved band of brothers, as Guts soon learns. Berserk is an ultra-violent, dark fantasy that will sit with you for some time after finishing it. The 1997 adaptation is still pretty gruesome, even after being toned down significantly from the source manga. Few anime (or any media) have managed to so perfectly capture the tone of good dark fantasy fiction. Berserk is one of the keystone shows in this genre. I’ve always enjoyed a type of “light” fantasy that doesn’t involve wizards and dragons and other big epic spectacles, but rather subtle, otherworldly pagan magic – stories that deal with the fairy folk or Japanese Yokai that blur the line between the real and magical. Spice and Wolf is one of those stories that doesn’t go all out on the fantasy element, but mixes in just enough to make it interesting. The anime is based on a series of light novels and has two seasons and two original video animations as I write this. It follows the story of Kraft Lawrence, a merchant, and his encounter with a wolf-goddess named Holo. Tired of being the goddess of good harvests in the town Kraft is visiting, Holo sneaks into the sheaf of wheat Kraft has in his wagon. He discovers her in the form of a young girl with wolf ears and tail, sleeping in his vehicle. Holo feels abandoned by the townspeople who are now using their own scientific methods of increasing their crop. She wants to return to her homeland in the north, and Kraft basically agrees to give her a lift. Despite her appearance, Holo is a wise being and she helps Kraft make more money in his trades on the way to her homeland. However, the (relatively) new church would see her as a demon and treat her as a heretic if discovered. This is bad, since they start drawing the attention of church agents on their adventures. 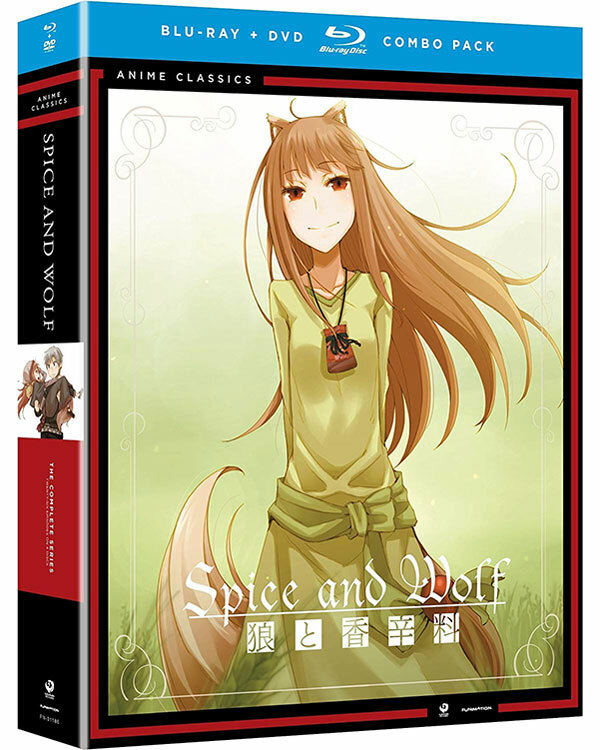 Spice and Wolf is a pretty chill show with occasional climaxes, but it’s a wonderful fantasy show that will clear your palate of darker fare like Attack on Titan. Like Attack on Titan, Death Note is a mega smash hit. Really, this show was all some people could talk about when it aired, and even today it’s still getting a lot of attention. Apart from the manga and anime, there have been both Japanese and American remakes using live action. The US remake was done by Netflix and has Willem freaking Dafoe as one of the main characters! Death Note tells the story of one Light Yagami. He’s the perfect guy – smart, great grades, hard worker, and more. The only problem, as we discover, is that Light is essentially a psycho, a fact that comes to light when he finds a strange notebook. If you write the name of someone in the book and the manner of their death, it will really happen. Light spares not a second in embarking on a megalomaniacal quest to change the world. The notebook, it turns out, belongs to one of many death gods. Light is soon visited by the death god Ryuk, who dropped the book in the first place. Ryuk is fascinated to observe what Light will do. Light is having it all his own way, until a mysterious detective known as “L” takes on the challenge of solving the mass mysterious deaths of so many people. Neither of them know the other’s identity, and the majority of the show is based on the tense game of chess they play to catch the other. 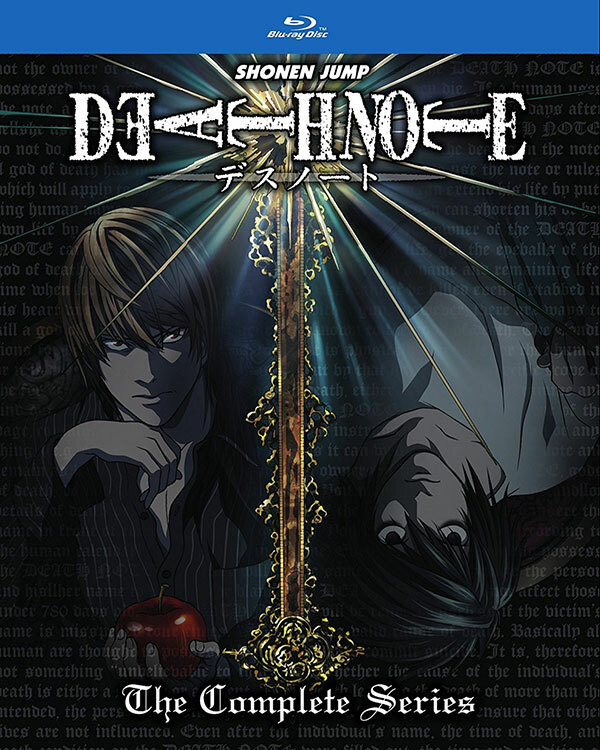 Death Note is one of the smartest shows ever to be aired, anime or not. None of the characters are “good” guys, but they are all incredibly interesting, and watching two morally grey geniuses battle it out makes for amazing entertainment. Yes, this is a very mainstream show, but that does nothing to diminish its greatness. Claymore is a show I got my hands on by accident, and since I wasn’t really an internet user at the time, I had no idea that it was actually quite popular. Even in my total ignorance I still realized the show was something special, although perhaps not at the same level some of the other titles in this list are. Claymore is another dark fantasy based on a manga of the same name. It’s set in a medieval world that faces constant threat from monsters known as “Yoma”. These monsters are shapeshifters that take on the form of villagers and then murder and consume humans when no one is looking. Even when found out, Yoma are so strong that no human can really stand against them. That’s where the Claymores come in. This is an all-female order of warriors who take on Yoma matter into themselves to become hybrids, only they have the strength to fight and defeat Yoma. They wander the lands, offering their services. They are distrusted by the villagers but seen as a necessary evil, almost the way Witchers are seen in Andrzej Sapkowski’s dark fantasy novels. 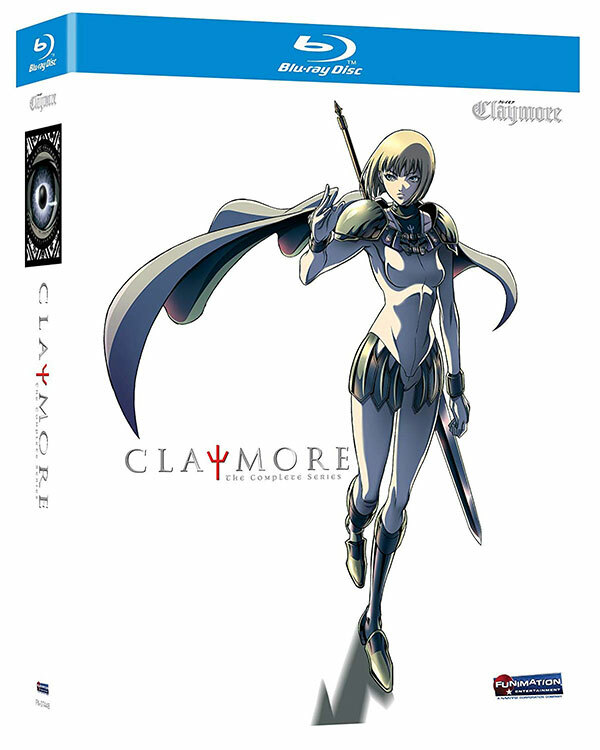 The anime follows the adventures of a Claymore named Clare. In the opening episode she is joined by a young boy named Raki, who acts as the audience’s viewpoint character, giving insight into the world of the mysterious Claymores. If you like swashbuckling, supernatural, female-led dark fantasy, then Claymore will be right up your alley. This show is pretty compelling, especially as it deals with the Claymore’s complex internal struggle to suppress their demon side. 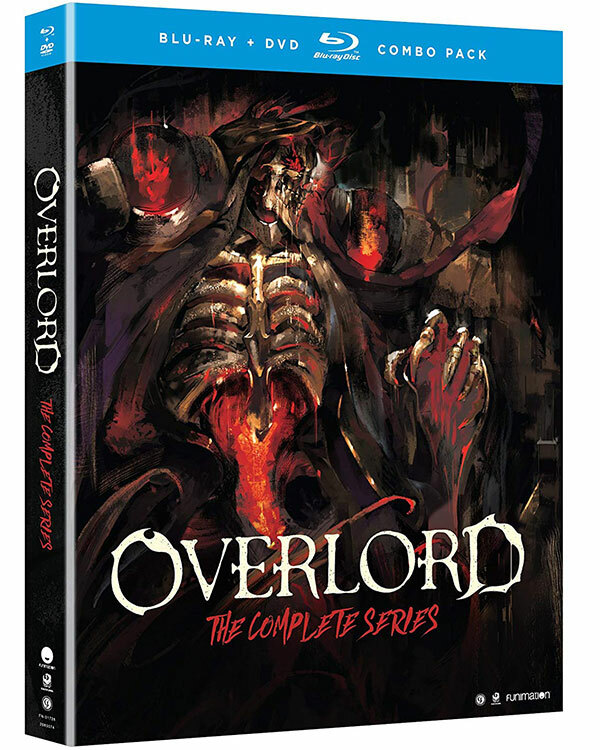 Overlord is a recent addition to my list of favorite anime, although not on my top 5. It’s based on a series of light novels, and at the time of writing there is one 13-episode season out with the second season just starting. First of all, Overlord is another anime which features a person whose MMORPG becomes reality. In that way, it’s a bit like Sword Art Online or Log Horizon. The difference here is that the show explores this concept from a very different angle. The main character is an absolute top-tier player in a game to which he has dedicated years of his life. It finally becomes time for the servers to shut down and the game to end, as all MMOs do. “Momonga” decides to stay in VR and wait within the halls of their famous guild until the last minute. His other guild members all log off and as the seconds count down, nothing happens except Momonga can’t log out. In fact, there’s no indication that he’s in a game at all. The guild’s NPCs become real people and outside is an entirely new world. Momonga’s character is an elder lich and this affects his personality when it all turns real. He no longer feels strong emotion or human pain. Quickly he embraces this new reality. The main conceit of the show is that Momonga is, right from the start, immensely more powerful than anything the people of this world have seen. It’s the opposite of shows like Dragon Ball Z where there’s an eternal quest for more power. Momonga is already there; the question is: What should he do with all this power? What is his purpose? It might sound a little flakey, but Overlord is an absolute ball and is served well with a colorful cast of characters and a world of fantasy denizens who have no idea what they are in for. If I didn’t include at least one film by the venerable Studio Ghibli on this list, I’d fully expect an angry mob to show up at my doorstep. Lucky for me, there are two of their films on this list. Princess Mononoke is an absolute classic. This has to be one of the most influential anime films ever made, and I don’t think there’s even been a convention where at least one person hasn’t cosplayed as the titular princess. The title translates more or less as “monster princess”, and is set in historical Japan but with a strong fantasy bent. At the start of the film a village is attacked by a monster. Despite defeating the monster, our hero Prince Ashitaka is infected by the same darkness that created the monster. The source of this impurity is traced back to a gigantic iron works known as Irontown. Basically, it represents how industrialization is destroying nature. Irontown is in constant battle with the spirit creatures of the forest. This includes San, a human girl adopted by the wolf gods who leads the attacks against the humans, destroying their home. What follows is a whirlwind ride involving the forest spirit, wolves, boars, and much more. Every frame of this film is a painting and it has a spiritual quality you can almost only find in a Ghibli film. 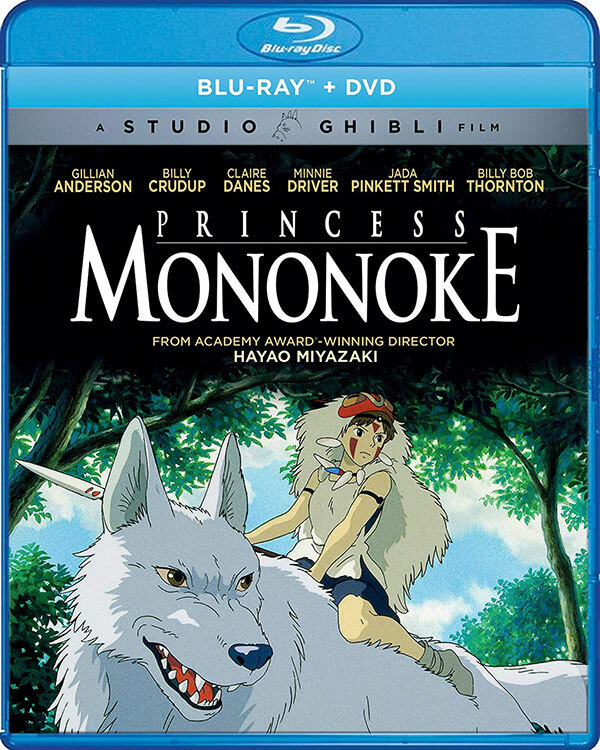 Princess Mononoke should be in the fantasy collection of any half-serious fan. As promised, the last film on my list is another Ghibli title. Known as Sen to Chihiro no Kamikakushi in Japan, it translates as “the kidnapping of Sen and Chihiro”. I guess that’s not very catchy, so Disney changed the title after licensing the show in the West. 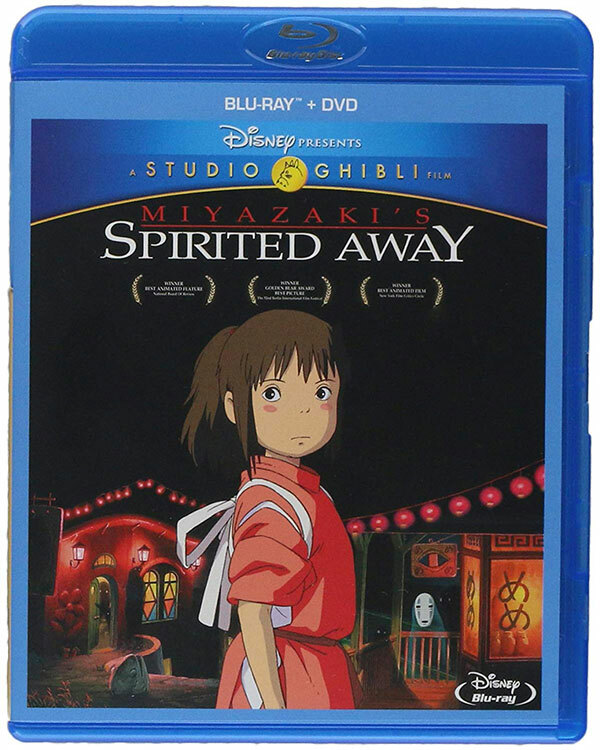 Spirited Away is a big deal. When it released in Japan it took over Titanic’s spot as the highest grossing film at the Japanese box office. The film only cost $19 million to make, but earned a whopping $289 million. It’s been named at least twice as one of the best films of the 21st century, at least so far. The story is that of young Chihiro, who is traveling to a new town with her mom and dad. She’s pretty unhappy about the change and having to leave her friends behind. On the way, her dad decides to make a pitstop and they discover what appears to be an abandoned food market.